Say you live somewhere remote and magical. Somewhere like… say… New Zealand. However, most of your customers are in the United States. If a customer has an urgent request, every hour can seem like a lifetime. 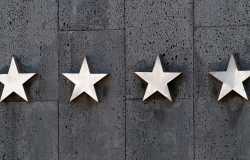 If you don’t set expectations up front on what your response time will be, you may end up with a very unhappy customer. 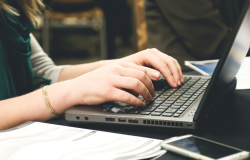 Even if you have your average response time displayed on your page, setting expectations in your auto-response can go a long way towards mitigating customer frustration. In my case I’ve kept the timeframe fairly open. Depending on your business and current status, you may want to specify a more direct timeframe. 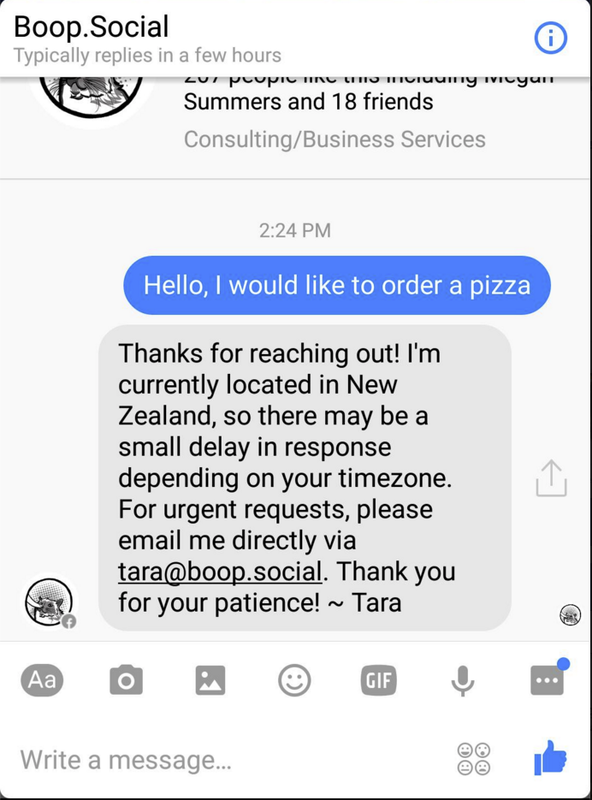 Instant replies can also be used to help mitigate larger customer support issues. If you’re experiencing an issue that has affected many customers, it’s an easy way to quickly communicate that you’re aware and working on a solution. 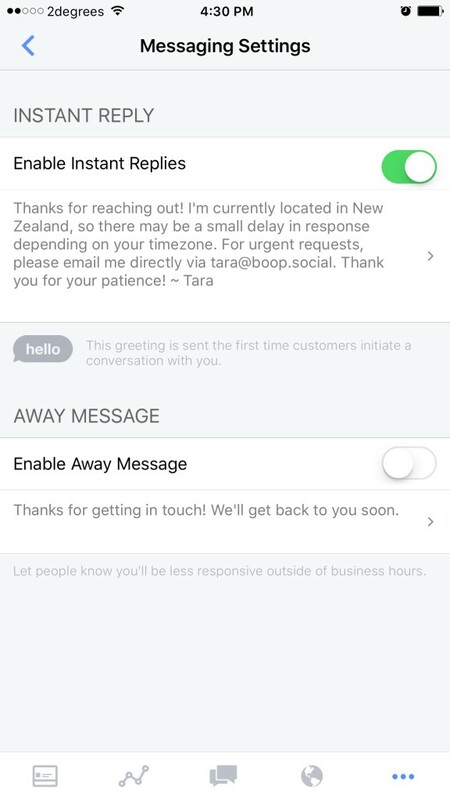 Note: This is not an ideal solution, as it will send to every customer that sends you a message, regardless of whether or not that’s what they’re messaging you about. However, if the majority of your inquiries are about that issue, it’s one way to help stem the tide. 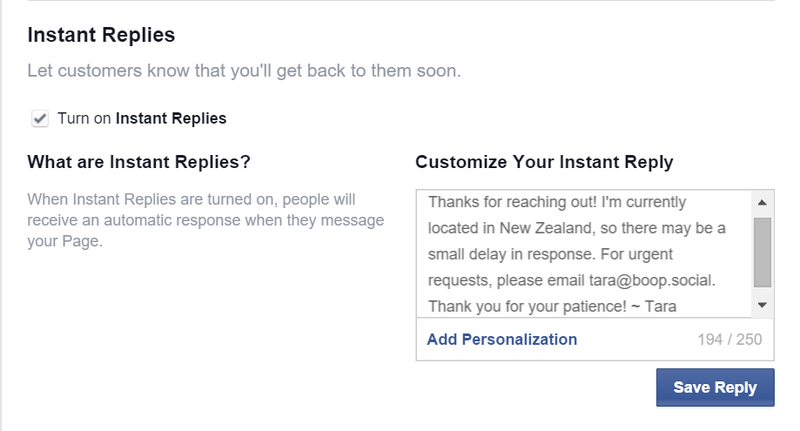 Tick the box that says ‘Turn on Instant Replies’, type in your standard response, and click ‘Save Reply’. Locate the ‘…’ in the lower right hand corner of your page, and tap it. Tap ‘Enable Instant Replies’, fill out your default message and you’re good to go! 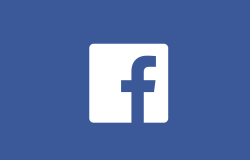 Now when someone sends a message to your fan page, they should receive your automatic Instant Reply! 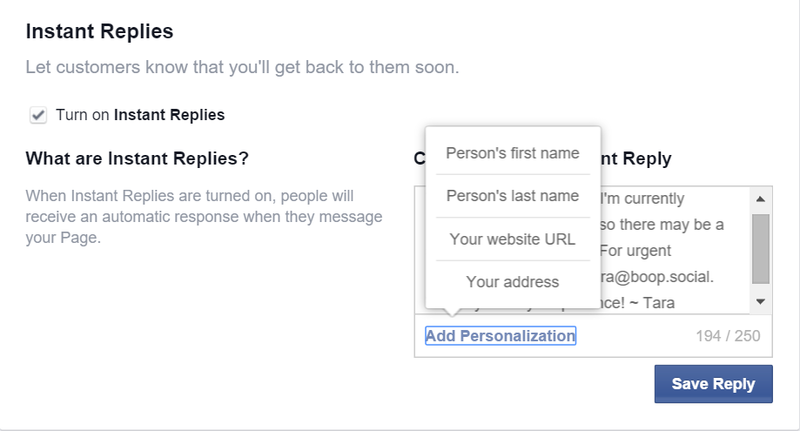 While I don’t recommend using the Facebook inbox as a Customer Support solution for larger brands, the new messaging features are a huge step up for anyone running a small business. 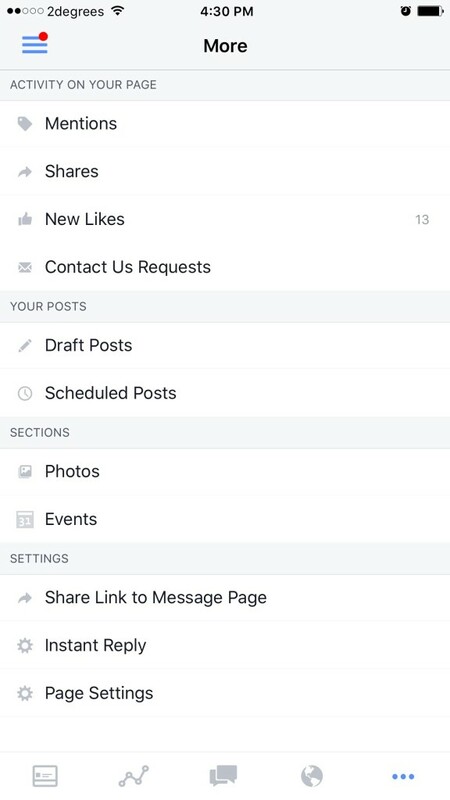 If you receive less than 20 messages to your page a week, the new features such as Instant Replies will help significantly. Give it a go, see how it works for you, and adapt your messaging where applicable! I rely on the support of people like you! Dig my writing and want to see more? Support me on Patreon! Questions? Comments? 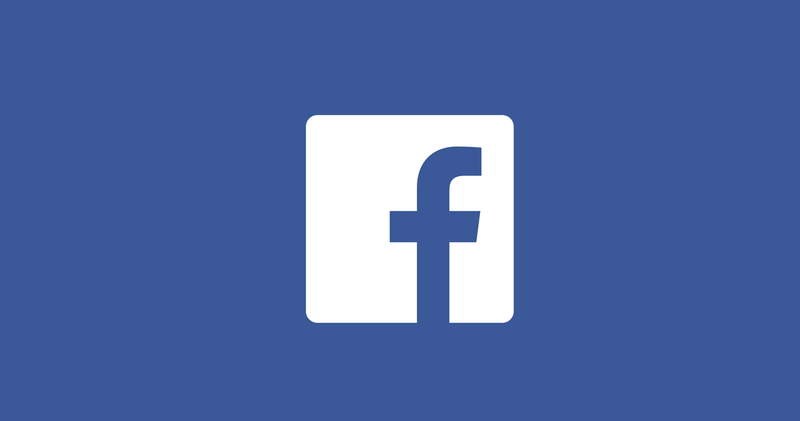 A burning question about using Facebook fan pages that you’ve always wanted to ask? 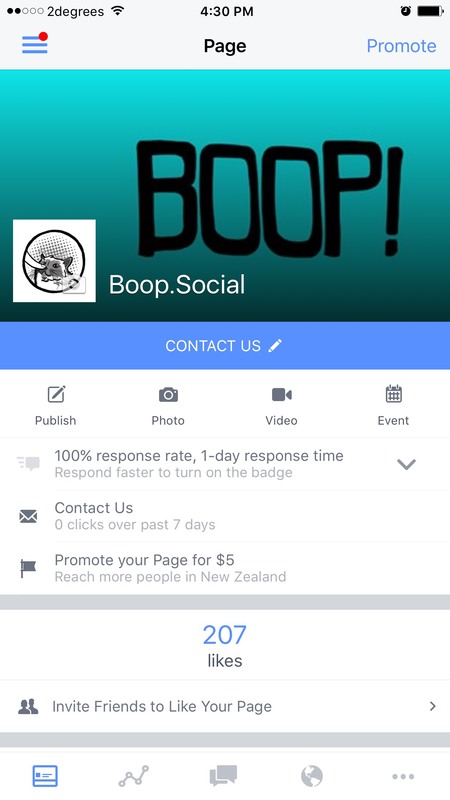 Drop me a line in the comments or @boopsocial!